Anna Jean Clem, 86, widower of Edmond C. Clem, died Wednesday, April 10, 2019. Born in Richmond, KY, she was a daughter of the late Arthur and Anice Sams. She was an employee of Trane Company for 28 years. She loved UK basketball and saw all eight national championships. She was a member of Lighthouse Baptist Church and was a loving mother, grandmother and wife. Survivors are a daughter, Anice Magruder, Lowell, MA; a son, Bradley Clem (Glenda), Lexington; four grandsons, Jason, Brandon, Timothy and Christopher Magruder; three granddaughters, Amberlyn Curtis (Eric), Kristen Meyers (Chris) and Tonia Collins; five great-grandchildren; two great-great-grandchildren; a brother, Wendell (Virginia) Sams; a sister-in-law, Nell Young; and numerous nieces, nephews and friends. 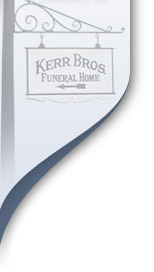 Funeral service will be 12 p.m. Wednesday, April 17, 2019 at Kerr Brothers Funeral Home-Main St. Burial will be in Camp Nelson National Cemetery. Visitation will be 10 to 12 p.m. Wednesday.